I have a picture of Earth taken from space here, and a few days ago I was looking at it and thinking. 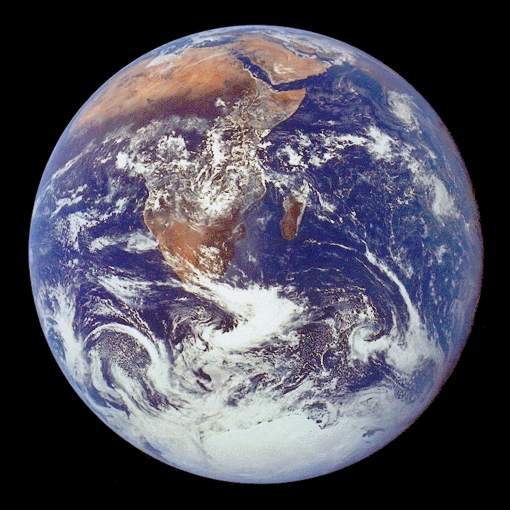 The planet is about 12,500 km in diameter. The atmosphere above that is maybe 100 km deep. The bottom of it that’s dense enough for us to live in is roughly 20 km deep. Inevitably, the bulk of the planet dominates photos of Earth; only at the edge of its shape can you even barely see the atmosphere that is our actual home. And it’s really just a razor thin puddle of gas. Razor thin. Hundreds of times thinner than the sphere beneath that holds it captive. Above that in every direction is deadly, void space, as far as the mind can imagine, and unfathomably far beyond that too. There is but one immeasurably tiny sliver of space in this cosmos that can support us and keep us alive. Here we are, merrily poisoning it away, like the enormous herd of oblivious fools that we are.